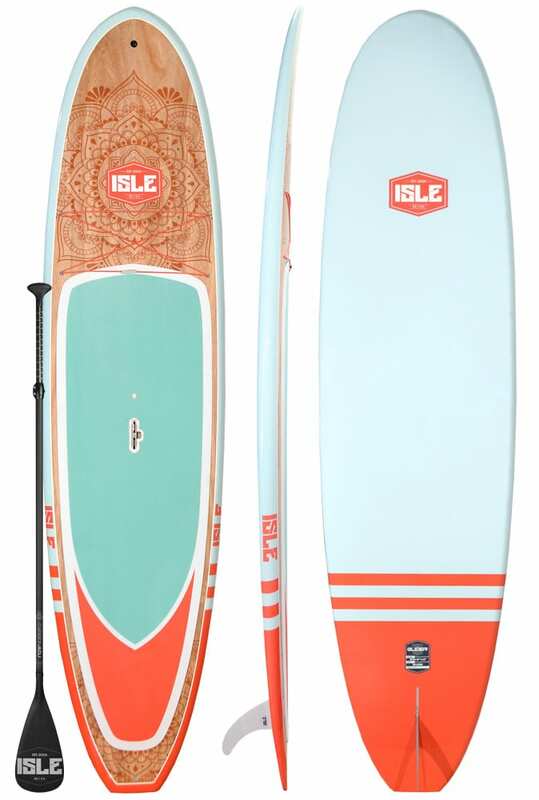 Our most popular epoxy standup paddle board is noted for its exceptional versatility in flatwater to open ocean and handles small to medium surf. 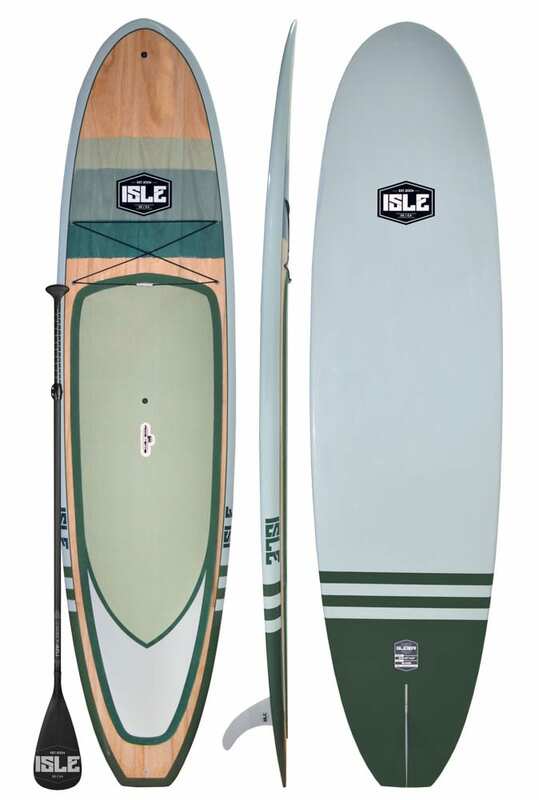 The durable ISLE Glider Wood Stand up Paddle Board model will accommodate any means of paddling you challenge it. Each of our wooden paddle boards offers a generous amount of width and thickness with a longer template improving the glide and tracking of the board in the water. 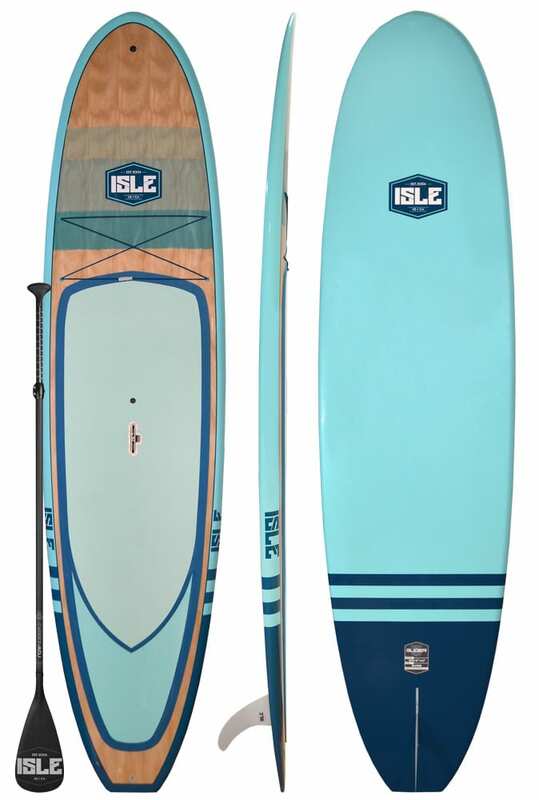 The Glider of our wooden SUP board is thinner, narrower and smaller than our Versa model which will give you more response and a premium ride while hitting the waves. 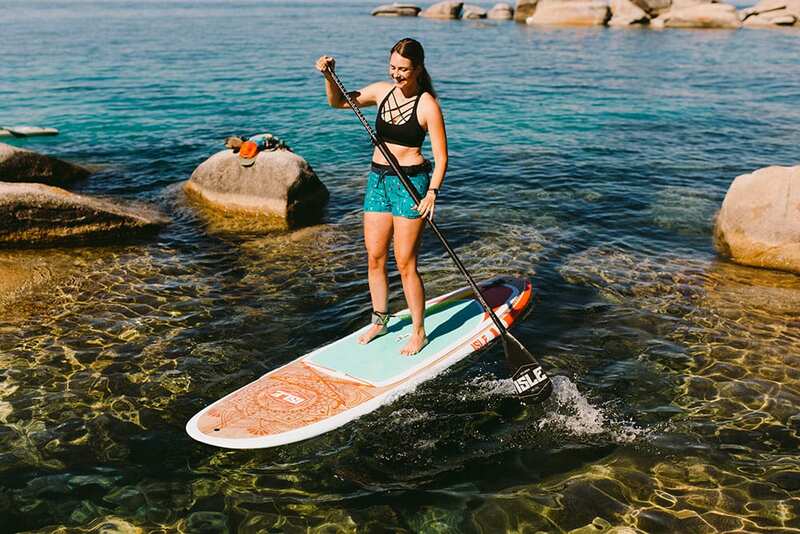 Not only are our stand-up paddleboards beautiful to look at, but we also added a front bungee to our wooden SUP board to secure your gear and a FCS mount for your GoPro. In addition, the Lift SUP handle makes transporting easier while giving you a solid center grab point. 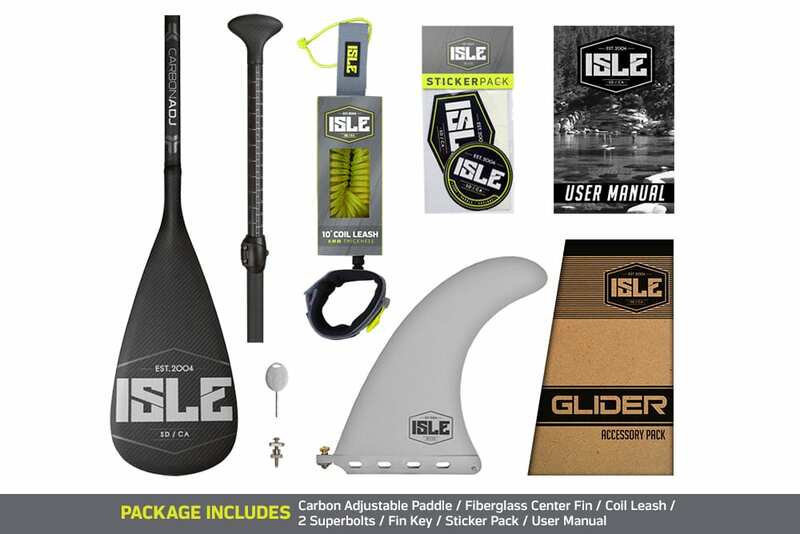 Whether you are looking for epoxy SUPs, foam boards, or great carbon fiber boards built for their durability and design, ISLE Paddleboards has exactly what you’re looking for. To learn more about our different types of boards, please check out our website or give our experts a call today. A custom FCS compatible plug installed to mount all generations of GoPro cameras. Mount your GoPro or any FCS compatible camera to shoot stills or video.